Beller testified at a meeting of 40 specialists in oncology, gynecology, vaccines and women’s health regarding HPV vaccines in Tel Aviv earlier this month. The Israeli Health Ministry was set to begin a widescale vaccination program of 65,000 14-year-old Israeli school girls this fall, but the program has been halted for further review after multiple doctors have come forward voicing concerns that these vaccines’ scant potential benefits do not outweigh the myriad adverse health effects the HPV vaccine can — and has — caused. Big Pharma company Merck (Gardasil), and GlaxoSmithKline (Cervarix), raked in billions on their HPV vaccines last year, most likely on the fears of concerned parents and patients under 30 who paid nearly $400 for a set of three shots to try and spare their adolescents or themselves from possibly getting HPV-related diseases like cervical cancer and genital warts. Recently, the Japanese government has announced it will officially stop recommending HPV shots due over 2,000 adverse reactions reported in the country. Any Japanese healthcare provider will now be required to tell patients that the government does not recommend the vaccine. 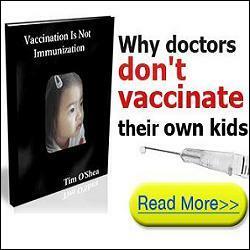 I am not at all against vaccines. I just underwent the oral polio vaccination as the Health Ministry instructed medical institutions to give the two drops to every doctor who is in direct contact with patients…if the vaccine prevented cervical cancer, I would be in favor. The vaccine [was hailed] in 2003 as being ‘the beginning of the end for cervical cancer,’ but it was exaggerated. 1 Comment on "Another Doctor Testifies: ‘HPV Vaccine Does Not Protect Against Cancer’"